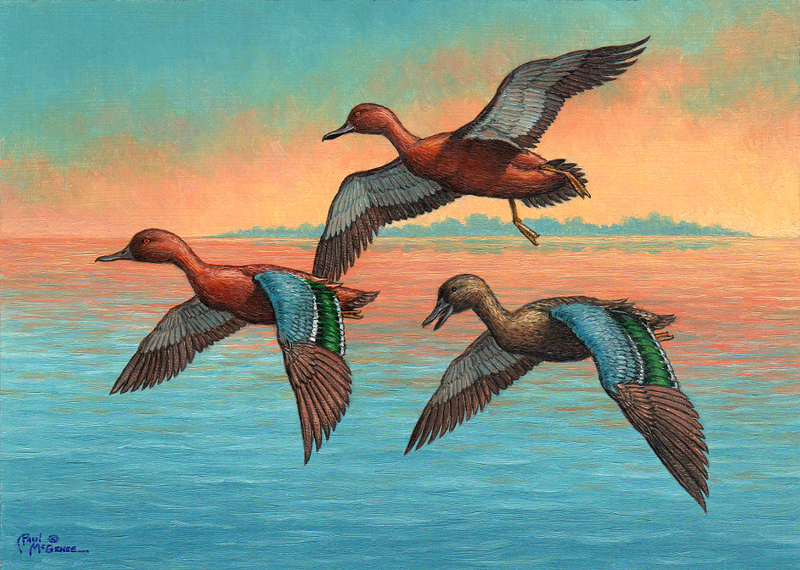 "Cinnamon Teal" by Paul McGehee. A beautiful and colorful species of duck common in western North and South America. Cinnamons are related to the Blue-Wing Teal, and live in shallow marshes and ponds...they are a colorful sight with the morning sun catching their iridescent reddish-brown, green and blue markings. "Cinnamon Teal" is faithfully reproduced from Paul's original oil painting in a limited edition of 2,000 hand-signed prints.